There has been some knitting around here, first off I am proud to introduce my Kingsfoil socks. These are just the sort of socks I like to knit and to wear. The knitting is interesting, but not too involved that they take too long to knit. A classic style, and one that would look good in plenty of colors besides this basic grey. 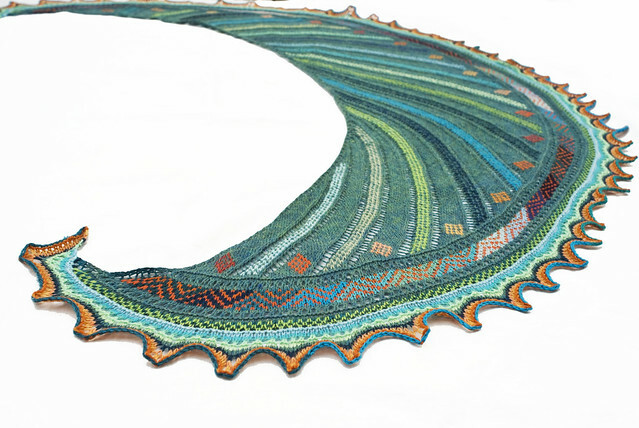 I also finished the latest Kieran Foley Mystery Shawl, which was great fun to knit. Sometimes these mysteries make choosing colors challenging, but it seems like a good exercise. We have had some lovely weather this week, unseasonably warm. Dan has been loving being able to bike to work again. It has me in the mind for spring cleaning. 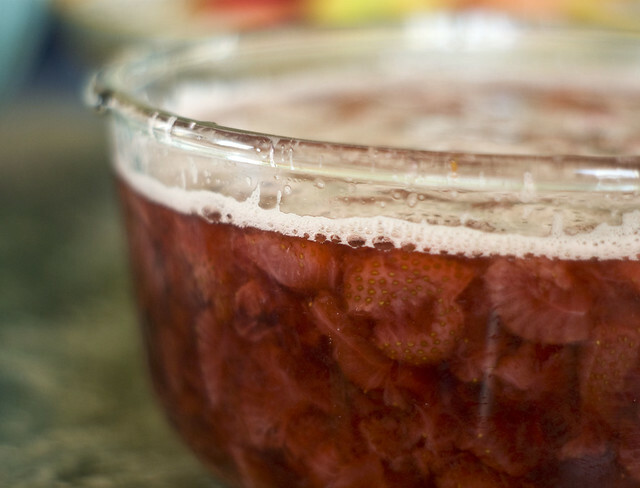 In that spirit we decided to make some Strawberry Pinot jam with the last of last year’s organic strawberries we had in the freezer. 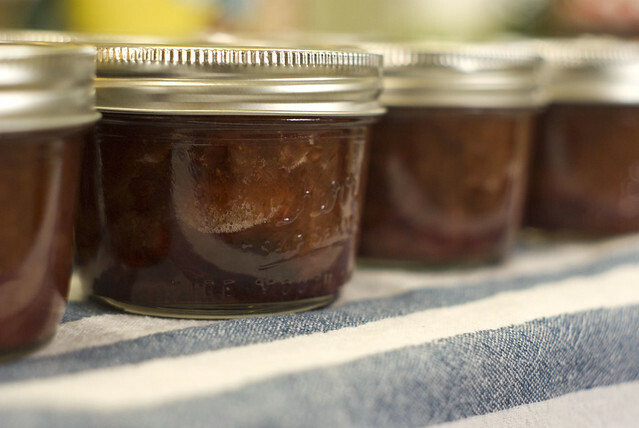 My friend Jean shared her delicious recipe and I can’t wait to try it out! This weekend is a poignant one for us here, 6 years and 6 months ago my mother passed away and it’s her birthday on Tuesday, St. Patrick’s Day. It’s also 6 years since Dan’s Leukemia diagnosis. We are pretty grateful to be where we are now, happy, healthy and enjoying this good weather. 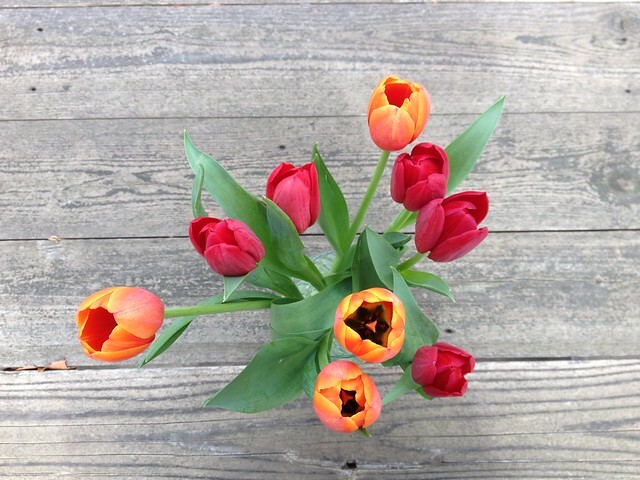 *These are store tulips, the weather isn’t quite that good yet. First class. Wow. Good for you! Nice sock design and a neat shawl. I love the colour combo. That’s wonderful news… As you know good health is the best.